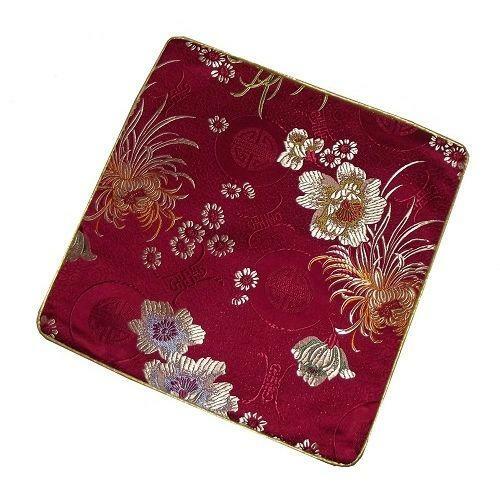 Silk brocade computer mouse mats beautifully decorated with colourful oriental flowers and longevity symbols. Burgundy in colour the Chinese mouse mat has a felt base, and a gold colour trim. An unusual gift item, and attractive accessory to brighten up the home or office computer desk. Can also be used as a table mat for vases and other ornaments.